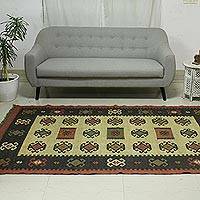 Earthy shades of faded black, beige, olive and brick come together to create a beautiful area rug designed by Sonik Sethi. 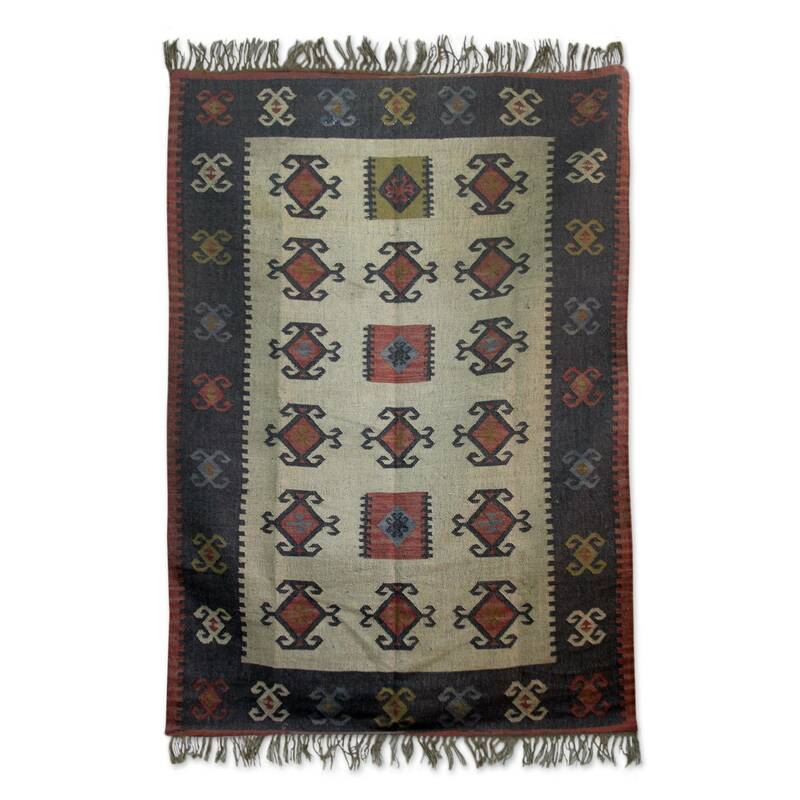 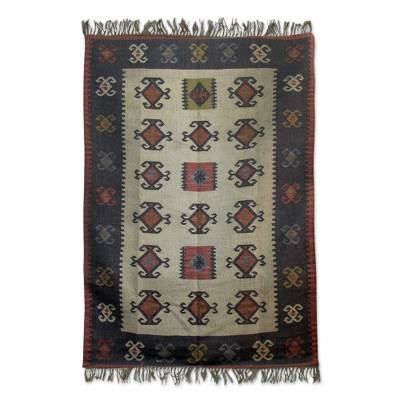 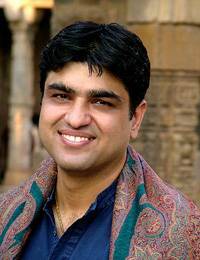 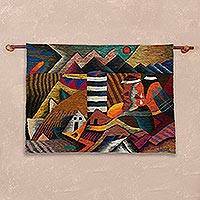 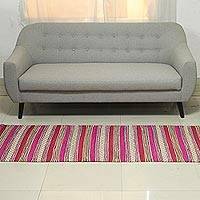 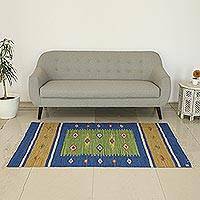 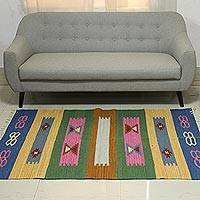 The rug is woven of jute on a woolen warp using a traditional hand loom. 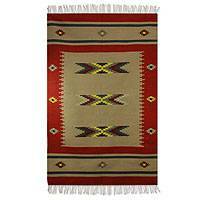 The subdued colors make the rug an attractive addition to any room.